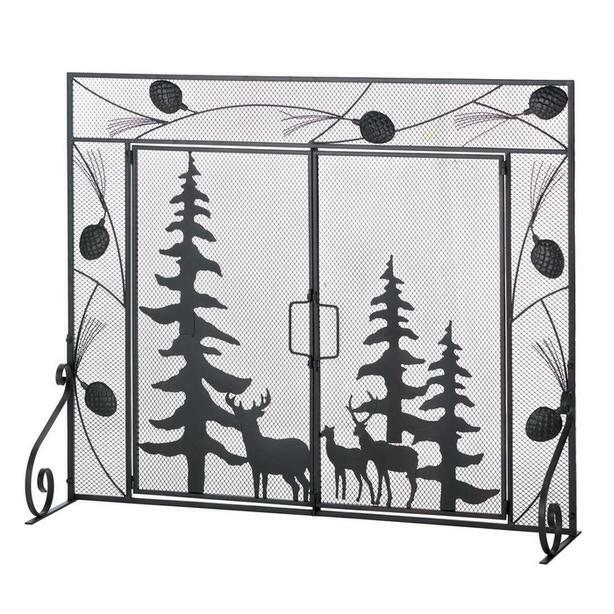 Frame the flickering frames of your fireplace with this woodland forest scene screen. 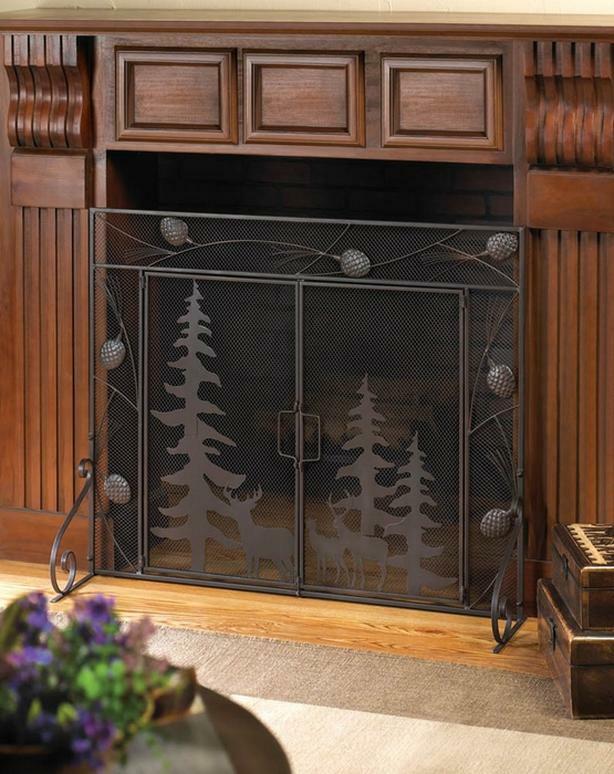 Detailed pine cones surround the outer trim, while the interior panels feature silhouettes of evergreens & forest animals. Measures 38" x 4.5" x 31.2" high & weighs 10.2 lbs.